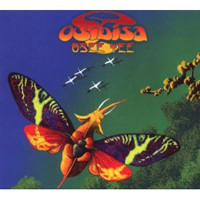 In the following article, published by World Music Central.org on Oct. 27th 2011, Tony Hiller pays tribute to the West African band, Osibisa, that burst on to the world music scene in the 1970s. For original report: The Original Afro Rockers | World Music Central.org. The following article was published in the Trinidad Guardian on Oct. 20, 2011. It honors Hierreyma, one of the leaders of the native peoples, and the battles they waged against the colonialists in early 17th century Trinidad. After the founding of St Joseph in 1592, Spanish settlements were pretty much limited to four valleys in the western Northern Range. East Trinidad was the home of the Nepuyo nation, whose active resistance effectively limited Spanish attempts to control and settle North Trinidad. Their best known leader was Hierreyma, who continually harassed Spanish settlements from his base in Arima. In February 1636 he and his people visited the Dutch in Tobago. He proposed an alliance between their 80-100 white musketeers and his 400 warriors, to drive the Spanish out of Trinidad. He offered as hostages all his women and children and old men. But the Dutch did not take up the offer. In late June 1636, a new Spanish governor arrived. By October he had destroyed one Dutch fort in the Nepuyo country of Punta Galera, and another in the Aruac country of Moruga. In early 1637 he captured the Dutch fort in Tobago, increasing his total number of prisoners to nearly 100: Dutch, French, and African slaves. He sent the son of the Dutch owner to Santo Thome on the Orinoco to await ransom, and the European prisoners to Margarita to await shipment home. Here, as food was short, 41 of them were secretly strangled and buried on the beach. In late July the Dutch factor of Essequibo, assisted by Caribs, Aruacs and Warao from the mainland, sacked Santo Thome, and freed the owner’s son. Then, it was St Joseph’s turn. Early in the morning of October 14, 1637, 20 pirogues with Dutch soldiers and great numbers of Carib, Aruac, and Warao, arrived at the mouth of the Caroni to meet up with Hierreyma and some 600 Trinidad Nepuyo and Aruac. Guided by two Trinidad encomienda Indigenous, one called Andres, captured during the sack of Santo Tome, they overpowered the watchman. They all attacked St Joseph three-quarters of an hour before daybreak. The townspeople were powerless to prevent them from burning the town and the church. The African slaves also assisted in the burning. For a while in Trinidad Hierreyma and his people were free from the Spanish.Today as we remember and celebrate this great ancestor, who fought tirelessly for his land and his people, let us make a commitment to continue to fight to protect our history and culture. For original post: First People’s fight to protect history, culture | The Trinidad Guardian. Unfortunately, no one has ever attempted to survey the extensive literature on the island’s music, in particular the vernacular contributions of its Afro-Cuban population. This unprecedented bibliographic guide, the third in ADP’s critically acclaimed Black Music Reference Series, attempts to do just that. Ranging from the 19th century to early 2009 Afro-Cuban Music offers almost 5000 annotated entries on all of the island’s main genre families, e.g. 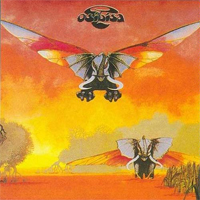 Cancion Cubana, Danzon, Son, Rumba, and Sacred Musics (Santeria, Palo, Abakua, and Arara), as well as such recent developments as timba, rap and regueton. It also provides sections on Afro-Cuban musical instruments, the music’s influence abroad, and a biographical and critical component covering the lives and careers of some 800 individual artists and ensembles. Spanish-language sources are covered comprehensively, in particular dozens of locally published journals such as Bohemia, Carteles, Revolucion y Cultura, Revista Salsa Cubana, and Tropicana Internacional, as well as a sizable portion of the international literature in English, French, German, and other European languages. The compiler is veteran bibliographer John Gray whose previous works include Blacks in Classical Music; African Music; Fire Music: a bibliography of the New Jazz, 1959-1990; From Vodou to Zouk; and, Jamaican Popular Music. To pre-order please visit the ADP website: www.african-diaspora-press.com. Malick Folk Performing Company stages nostalgic and futuristic expressions. The following article was written by Cherisse Moe and published in the Trinidad Guardian, Oct. 12, 2011. 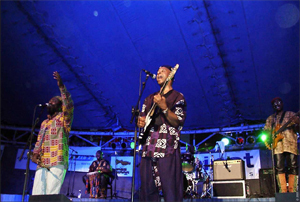 The Malick Folk Performing Company has been working assiduously to bring the indigenous art form of folk music to the forefront since 1979. With a long list of accolades to its name and no signs of slowing down, the local group, which received the 2004 Chaconia Medal Silver for its outstanding contribution in the field of culture, is now gearing up to stage yet another exciting production, titled, Nostalgic & Futuristic Expressions, at the Queen’s Hall, St Ann’s, on November 6. 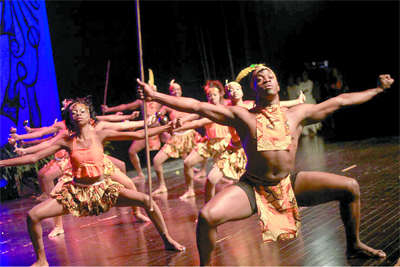 Members of the Malick Folk Performing Company put on a show for the recently concluded Best Village Dance Finals at the National Arts and Performing Academy. The production—Nostalgic & Futuristic Expressions starts promptly at 4:30pm on November 6 at Queen’s Hall, St Ann’s. Adult admission is $100 and $50 for children 12 and under. 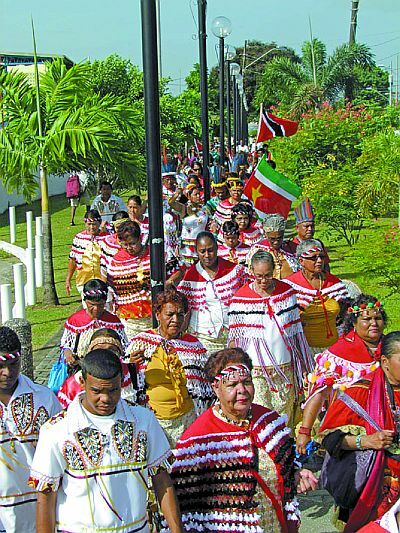 For original report: Preserving folk culture | The Trinidad Guardian. Jackie Leedy reports for the St. Croix Source, Oct. 9, 2011. The St. George Village Botanical Garden gave visitors a treat to remember and something to think about Sunday at the 2nd Annual Fall Heritage Festival, where rich history, delicious food and cultural music brought hundreds together for an afternoon. “I think it’s so important that we remember how we came here, and without history, we would be lost,” said Suzanne Winslade, a tourist from New Hampshire. The day started off when Junie Bomba Allick blew a traditional conch shell call to gather the crowd and begin the event. Allick was also selling his beautiful hand carved conch shells. Bully and the Musical Kafooners played Quelbe music in the Great Hall, while children and adults tapped their feet to the rhythmic sounds as they ate lunch provided by Good Chew Catering. Some crowds gravitated toward bush doctor Veronica Gordon, listening to her explain the medicinal properties of herbs while following her on a tour. Aziyza Shabazz demonstrated of how to make a drink out of hibiscus. “These drinks can be healing for the mind and body,” Shabazz said. Dozens of smiling children played hopscotch or rode Stephen O’Dea’s donkey Eeyore, while parents watched blacksmith Richard Waugh demonstrate his amazing skills with metal. Judy Bain also taught kids how to make dolls and weave baskets. Finally, after hours of walking the gardens and learning about its various historical aspects, a large crowd settled down to listen to historian George Tyson talk about the enslaved population that once lived on the grounds. Tyson explained that during the 18th and 19th centuries, there were between 10,000 and 15,000 enslaved people literally working their bodies to death on the sugar plantations throughout the island. “The fact that we can trace these people from the 1760s and follow them for years and decades is quite unique,” Tyson said. Tyson is working to create a database going back hundreds of years so Crucians can see and tell their life stories from a historical aspect. He and ChenziRa “Dr. Chen” Kahina, wanted to give voices to the enslaved people because their stories Tyson said, have impacted all of us. • Cornelius, played by Akeru Christopher, was a field slave who died at “the young age of 69,” and whose value went down markedly as he drank and aged. • Mina, played by Anumaat Kahina, was taken from Africa and lived and died as a slave at the garden. • Jupiter, played by Anuptah Kahina, was born enslaved and worked in the field until he became an invalid and was worth nothing. • Netta, played by Anutmeri Kahina, was taken from Africa and bore a child, and as a result her value went down. • Titus, played by Anuka Kahina, was taken from Africa and was a field worker until he became invalid. • Luca, played by Dr. Chen, was taken from Africa and worked for 35 years as a laborer at the Garden. After the actors played out the emotional scenes, a powerful drum session followed, with the dancers whirling and moving to the sound of drumbeats. “The drums signify the heartbeat and soul, that’s why we dance to it,” Anumaat said. “We are a family troupe, and drumming keeps us together. After the performances, people mingled and talked about the importance of telling their stories. Allick said he wished the true story was taught more in the local schools. St. Croix resident Pyma Williams said she enjoyed the performance and wanted her kids to experience the local culture. John and Tiffany Bowman, who run radio station 89.9 WIVH, brought their whole family, and said that while the kids liked riding Eeyore, the dramatizations were amazing and Tiffany admitted to having chills throughout the event. For the original report: Festival Recalls Rich, Sometimes Dark, History of Botanical Garden | St. Croix Source. The following feature was written by Joshua Jelly-Schapiro and published in the New York Times Magazine on Oct. 9, 2011. In 1956, a Harlem-bred child of Caribbean immigrants released the first million-selling LP in history—Harry Belafonte was bigger than Elvis. But where Elvis built Graceland, Belafonte used the proceeds from Calypso to bankroll his friend Martin Luther King Jr.’s movement for civil rights. In an absorbing new memoir, My Song, as well as an HBO documentary, “Sing Your Song,” Belafonte recounts a life that took him from an impoverished childhood in Harlem and Jamaica to studying theater, as an angry young man in the postwar Village, with his close friend Marlon Brando; to finding pop success, in the fifties, as a smiling folksinger and America’s first black matinee idol; to becoming, in the years surrounding John Kennedy’s assassination and the March on Washington, perhaps the key go-between for King’s movement and the federal government. 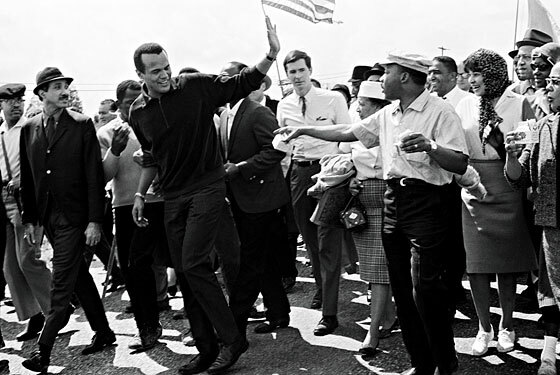 The only man to speak to both King and Bobby Kennedy on a daily basis through those years, ­Belafonte also persuaded JFK to approve airlifting a planeload of Kenyan students to America in 1961. That a certain Barack Obama Sr. was on that plane, one feels, isn’t the sole link to draw between his son and a figure whom the future president’s mother grew up adoring as “the handsomest man in the world,” according to one account. West Indian–American, angry charmer, elder radical, critic of a president who would not have been possible without him—Belafonte is a man of many conflicting identities, all of which he’s needed to help change the world. You were born in Harlem, but your mother who raised you was a Jamaican immigrant. How do you think your Caribbean roots shaped your experience growing up? Harry Belafonte: People from the Caribbean did not respond to America’s oppressions in the same way that black Americans did. We were constantly in a state of rebellion, constantly in a state of thinking way above that which we were given. My people were gangsters and lived in the underworld. And I don’t mean major American crime; I mean, as an immigrant, if you can’t find work inside the law, you find work outside the law. Running numbers and so on. Which is, of course, a characteristic of the poor, who find ways to break the rules, since the rules are always stacked against them. You moved back and forth often between Jamaica and Harlem, sailing on the banana boats your father worked on as a cook. How do you think that movement, going between New York and the islands, shaped your understanding of race? I had no particular crisis with white people. Because I never really saw them as in any way superior. Americans—black Americans—had crises, because not only were they forced to believe that white people were superior, but in many instances they bought it. And they made peace with it; we didn’t. When you began singing folk songs in the early fifties, you were really coming out of the theater. That’s right. I had come out of the dramatic theater, where the great writers of the day—Clifford Odets, Sean O’Casey—were concerned with politics, with working people. And those were the concerns I heard in Lead Belly, Seeger, when I was first hearing that music. Being involved in a lot of campaigns, helping people unionize, at rallies, helping them organize, picking up a picket sign, and walking in a picket line. And you sang songs on the picket line. So my engagement with the politics of music, and music as a political force, and using it specifically for that, came very early. When you hit with Calypso in 1956, you gained fame very quickly. But just as quickly you sought to use that platform for other ends: in your work with Martin Luther King and then in your friendship with Jack and Bobby Kennedy, Bobby especially. In the beginning, though, you and Martin were quite suspicious of them; Bobby had been an ally of McCarthy, the blacklist. We knew [before the 1960 election] that we must deal with reality. Somewhere down the line, we knew, we’re going to have to make the federal government yield to us. And I ­suspect that somewhere in this young man lies … good. So let’s put aside all his transgressions—the House Un-American ­Activities Committee, etc.—our task is to find his moral center and win him to our cause. Up until the day he died, we had a strong bond. But it wasn’t that way in the beginning. We circled one another for a long time; we kept a distance, even if we found reasons to use one another. I know you’ve been spending a lot of time recently in your old neighborhood, Harlem. What strikes you about how the neighborhood has changed since your own, shall we say, delinquent youth there? How has the community changed? One of the foremost things that we suffer from, for children, is the lack of models, of tangible role models. A lot of us, as kids, had no such problems. Because then, a lot of the achievers, they were also required to live in the middle of Harlem, or in the South Side of Chicago. “Rich nigs” couldn’t go anywhere. We saw Robeson. We saw Duke Ellington; he lived with us. Now none of those heroic figures live in Bed-Stuy or the heart of Harlem. Now they live in Martha’s Vineyard, Fire Island. In California, they live in Beverly Hills. So there is a definite segregation between role models. They’re not in our midst. When you were close with the Kennedys, in those years when JFK asked you to help lead the Peace Corps, you persuaded him to sponsor African students to come to America, one of whom was our current president’s father. We had the airlift, right. Myself, Jackie Robinson, Eleanor Roosevelt, and a woman called Cora Weiss. And we brought Kenyan students, before independence. To the chagrin of England. There was a huge foreign-policy glitch—England protested bitterly that the government permitted us to do this, without Kenyan visas. That we got them visas to enter American universities. And one of our lifts—and we didn’t have many—on one of those planes, we had Barack Obama’s father. You praised Obama mightily when he was elected; you’ve now become highly critical of him. What do you think has happened to the president? I don’t know that anything’s happened to Obama. I don’t know Obama. One can make assumptions, and you can glean things from what he says in his book, but it’s all pretty pat. I don’t know what Obama was intending to be, I don’t know what his game was. Being a community leader, being at Harvard … it’s all so squeaky clean. And I don’t know if he’s got a rabbit in the hat, that he’ll pull out at some point, startle all of us. But there has been no indication whatsoever that there is a rabbit in the hat. There’s been no indication that he even has a hat. So I treat him like I would treat anybody who sits in the seat of power. You push them as much as you can, awaken social consciousness, and try and go out there and make him do things. For original report: Harry Belafonte on His New Memoir, ‘My Song’ — New York Magazine. Mr. Winston Munroe gives an overview of the Sesame Flyers International organization, its activities, the services it provides, and its overall impact within the Caribbean community in Brooklyn, New York. In the following article, published in The New York Times, Oct. 3, 2011, Rob Kenner reports on the passing of Jamaican music icon, Leonard Dillon, and celebrates his contributions. Leonard Dillon, an influential Jamaican singer and songwriter who founded the pioneering vocal group the Ethiopians, died on Wednesday at his home in Port Antonio, Jamaica. He was 68. The cause was cancer, his daughter Patrice Dillon said. Long before artists like Bob Marley and Peter Tosh made reggae music synonymous with social and spiritual uplift, Mr. Dillon had emerged as one of the first Jamaican singers to infuse his songs with Afro-centric themes and sharp-eyed commentary. His body of work mirrored the evolution of Jamaican music, from laid-back mento-flavored folk songs through the horn-driven dance tunes of ska in the ’60s to the smooth rock-steady sound that eventually morphed into the bass-heavy music known as reggae. Tosh was so taken with Mr. Dillon’s earliest compositions that he introduced him to Marley and the Wailers. They soon brought him to Studio One in Kingston — Jamaica’s first black-owned recording studio and label — where the Wailers sang harmony on Mr. Dillon’s earliest recordings. Mr. Dillon joined Stephen Taylor and Aston Morris to form a vocal trio called the Ethiopians in 1966, the same year that Haile Selassie, the emperor of Ethiopia, made his first official visit to Jamaica. Selassie was greeted by throngs of ecstatic Rastafarians, members of a Jamaican spiritual movement that saw Selassie as divine and Ethiopia as the promised land. After Mr. Morris left the trio Mr. Dillon and Mr. Taylor continued as a duo, turning out hits, primarily in the Caribbean during the 1960s, like “Everything Crash,” “The Whip” and “Train to Skaville,” which also found wide popularity in Britain. After Mr. Taylor died in a car accident in 1975, Mr. Dillon recorded on his own as the Ethiopian. Mr. Dillon’s best songs featured a rebellious point of view that paved the way for reggae firebrands like Burning Spear and Culture. Leonard Winston Dillon was born on Dec. 9, 1942, in Port Antonio. His mother was a music instructor. In addition to his daughter Patrice, survivors include his wife, Sylvia; six other children, Camille, Tamara, Hyatta, Raymond, Serrano and Lenward; and seven grandchildren. He learned he had a brain tumor this year and had surgery, but the cancer spread, his daughter Patrice said. Mr. Dillon’s music fell out of favor with the rise of dancehall reggae in the 1980s and ’90s, but he was undeterred. His final project, an unreleased 2009 album called “Original Hit-Makers From Jamaica, Volume 1: Leonard Dillon the Ethiopian,” was an attempt to restore his brand of vintage reggae to prominence. For original posting: Leonard Dillon, Early Reggae Singer in the Ethiopians, Dies – NYTimes.com. Mr. Winston Munroe, founding member of Sesame Flyers International, speaks about his early involvement in the Brooklyn Carnival and briefly recalls historical aspects of the festival.